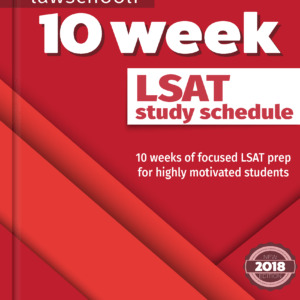 Last minute LSAT Tip #1: You CAN improve your score in the final weeks leading up to the exam. The pressure of a rapidly approaching exam was a huge motivating factor for me. In the final 2 weeks before I took the LSAT, I was finally able to break through my plateau and break into the 170+ range. My hard work during the last 2 weeks paid off in a 177 on exam day. Last minute LSAT Tip #2: Take a timed LSAT preptest at least every other day during your last LSAT prep weeks. 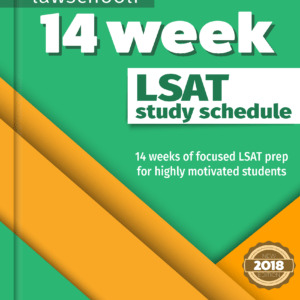 This really helped me improve my timing, stamina, and overall comfortability with the LSAT materials. Last minute LSAT Tip #3: Get motivated! Find a way to pump yourself up for exam day. 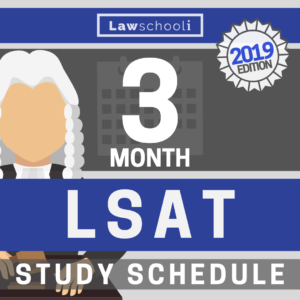 A positive, optimistic, enthusiastic attitude toward the exam will inspire you to work hard and stay focused during the last couple weeks before you take the LSAT. The LSAT can be tedious, so find something to inspire and motivate you. Last minute LSAT Tip #4: Engage in discussion in the comments section of this site. I found it very helpful to discuss my LSAT strategies with other people when I wasn’t prepping. Not only did this provide me with feedback from others, it also forced me to analyze and evaluate how I was prepping and approaching the LSAT. Discussing the LSAT can keep your mind focused on the exam even when you aren’t actively prepping & teaching can be a particularly powerful way to learn. Last minute LSAT Tip #5: Stay healthy. The stress of the last weeks before taking the LSAT can take a toll on your body and mind. Make sure that you are eat healthy, avoid drinking alcohol, and exercise (at least take a short walk) daily. Don’t pull all-nighters & be sure to get plenty of sleep every night. You want to be awake, aware, focused and feeling great when you walk into the test center. Last minute LSAT Tip #6: Learn about your test center. If possible, take a trip to your LSAT testing location during the final week before the exam. Learn how to get there so that you don’t get lost exam day. Try and find out what room the exam will be administered in and ask to see the room. This will make sure that you don’t encounter any surprises when you sit for the exam (eg. small desks, cold rooms, clock locations, etc.). If possible, take a full, timed preptest by yourself at the testing location. Anything that helps you become more comfortable in the testing environment will minimize unwanted stress on the day of the exam. Last minute LSAT Tip #7: Prepare your gallon ziplock bag with your admissions ticket, ID, photograph, analog watch, #2 pencils, sharpener, eraser, tissues, and medical products. You don’t want to forget anything, so make sure that you have this ready in advance. Make a checklist and double-check the bag before you go to bed the night before the exam to make sure that everything is there. Last minute LSAT Tip #8: Expect a long wait before you actually start the exam. On test day, there will be a long line and a lot of administrative issues that the proctors will have to attend to before they allow you to begin the exam. You might be waiting around at the test center for anywhere between 30 minutes and 2 hours before they begin administering the exam. Don’t let this throw you off. Last minute LSAT Tip #9: Use these upcoming days wisely. You probably don’t have time to improve on every aspect of the exam, so focus on the areas where you are most likely to increase your score. By targeting your prep efforts, you maximize your chances of realizing substantive gains. Logical Reasoning accounts for 1/2 of the exam, so any improvement on that section is worth twice as much on your overall score. Certain types of logic games are rare, so don’t spend your precious final hours focusing too much time on them. The more common an element is on the exam, and the weaker your performance on that element, the more effort you should put towards improving that aspect of the exam during the final stretch of your LSAT prep. Last minute LSAT Tip #10: Relax. Focus. Show up on exam day and CRUSH the LSAT! Thanks for the tips only two days til the big day!!! :). Good Luck Danielle! Go in there and CRUSH this thing! Thank you for the tips! I’m taking the December lsat in a couple weeks, and this is great motivation! It’s a 2 week countdown until this years sept test. I’m consistently in the upper 160 range looking also to break into the 170. You said you did this–any other specific insight as to your last 2 week study regime besides test every other day and focusing on LR? Also any other tips for test anxiety on test day? I am taking the September LSAT and up until this past week, the average of my practice test scores has been 172-174. This past week, I started the 10 New Actual, Official book, and my scores have dropped into the low 160s. I haven’t changed anything that I’ve been doing, and I have no idea why my score has been plummeting. Does this sometimes happen during LSAT prep, and do you have any recommendations or advice? Thank you! I’m taking the Oct 13 LSAT and am still not scoring where I want to. Do you have any additional tips on breaking this low 160 plateau in the last 2 weeks? Are you doing proper question review BEFORE you look at the answers on your timed LR? 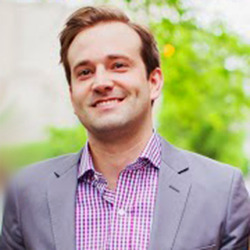 https://lawschooli.com/reviewing-an-lsat-practice-test/ Doing that can really help you fix problems with understanding LR. If you can’t learn to understand and fix your own mistakes before you look at an answer, you are going to keep having problems. You might want to try skipping parallel reasoning questions, which are time-consuming, and come back to them at the end only if you do have the time to do so. This extra time can be applied to understanding other difficult questions if need be. Note that -5-7 is not a horrible LR score. You may wish to focus a bit more effort on LG which is easier to make short term gains. I usually only get 0- 4 questions wrong on LG but there’s always room for improvement!